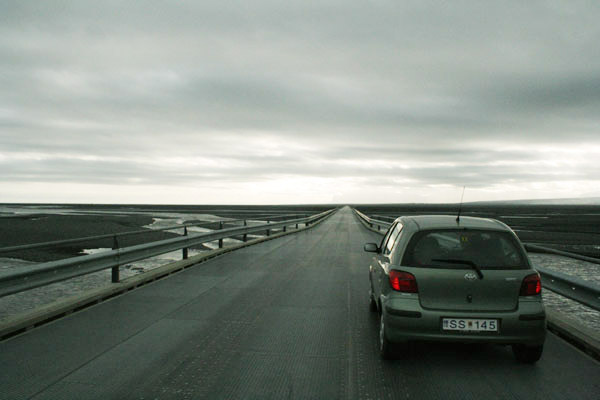 Bridge over the rivers of the Skeiþarársandur below Vatnajökull. 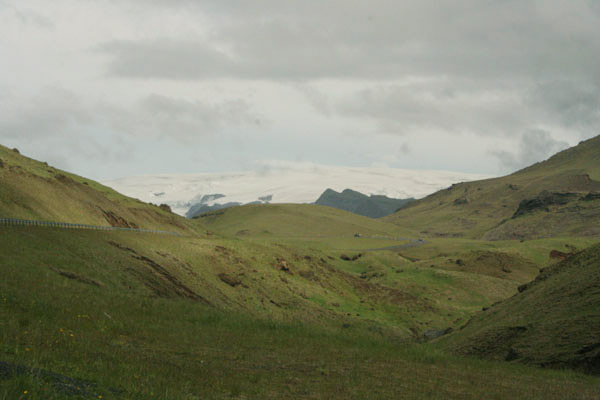 View of Mýdalsjükull from the ringroad near Vik. 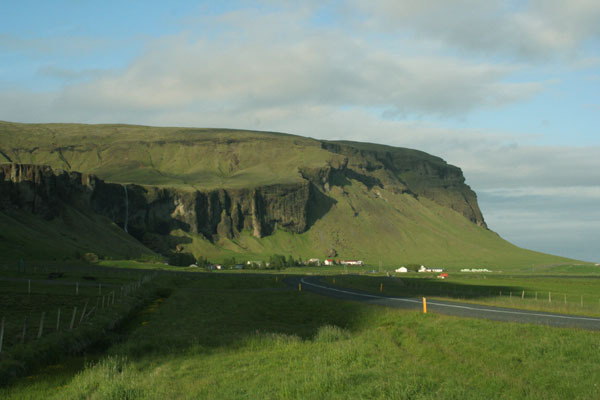 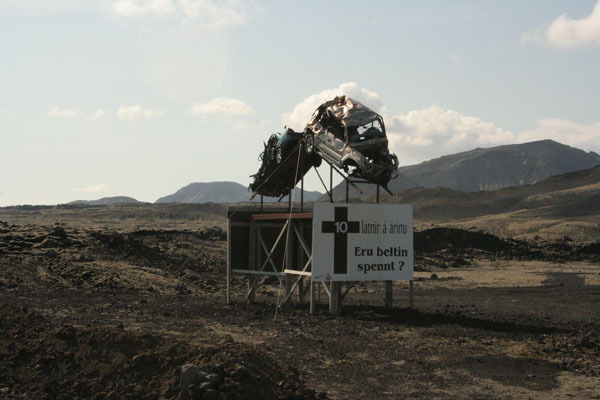 The ringroad, or Hringvegur, runs around Iceland, connecting all major towns. 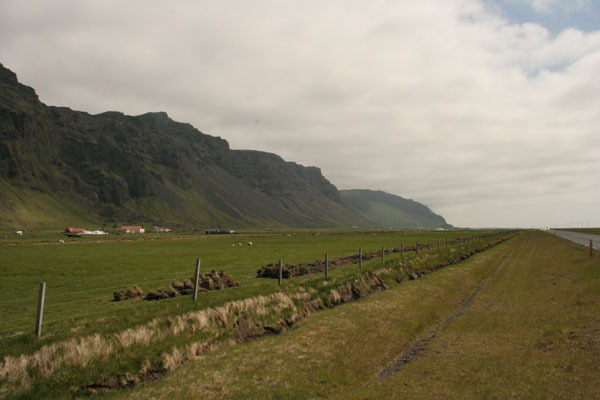 I took this photo near Seljaland. 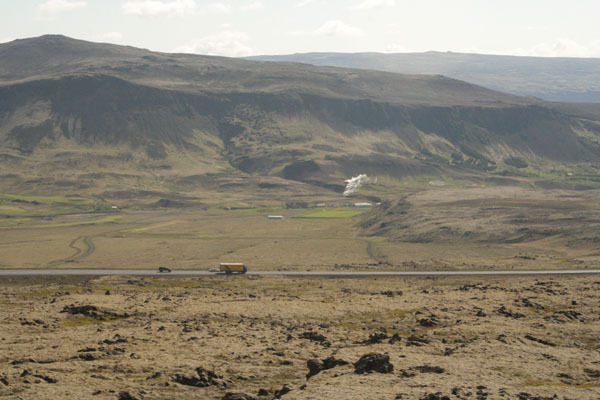 The ring road is very good, but outside the Reykjavik area, most side roads are still dirt roads.